Recognising the value and importance to farmers of Australia’s premier event, Dairy Australia is the Major Supporting Partner of the Australian Dairy Conference providing financial and resource assistance for the coordination and organization of the annual event. As the major national service provider, ADC has become a partnership event to showcase and explore the major issues on the horizon for Australia’s dairy industry. Rabobank is synonymous with ADC as a major sponsor and host of the signature ADC Gala Dinner, a highlight of the Conference each year as a chance for delegates to catch up socially, digest the proceedings of the day and network with fellow farmers. In a long-standing partnership, Rabobank has made the Gala dinner a flagship event bringing commitment and entertainment to those who attend. As a major processor in Australia and New Zealand, Fonterra have become and integral and valued supporter of ADC using strengthened partnerships and networks to support the annual event and at the same time reinforcing their role in the Australian dairy industry. Fonterra is the regular host of the ADC Welcome Function setting the tone for each ADC. Lely Australia has a focus of making farmers’ lives easier with innovative solutions and tailored services offering solutions for almost all activities in the cow shed from milking to cleaning. Lely provide advice on how to organise a dairy farm smartly with the use of management systems. A fitting partnership with ADC to service and support our innovative mix of dairy farmers. Herd health is a priority for every dairy farmer and Boehringer Ingelheim are at the forefront of animal welfare as a global research-driven pharmaceutical company. With a scientific approach and ethos this makes Boehringer Ingelheim the perfect partner to put the spotlight on the latest dairy research by supporting the Young Dairy Scientist Award. As a worldwide leader in milking equipment and solutions for dairy farmers enabling sustainable food production, Delaval is extremely well suited to bring you sustenance at ADC as our coffee sponsor with a dedicated barista serving up ‘real’ coffee to delegates within the trade display area. Delaval is synonymous with the Australian dairy industry at the forefront of global dairy innovation. As a dedicated publication to all things dairy, the Australian Dairyfarmer is a long-standing major media partner of the Australian Dairy Conference. The leading source in the country for dairy specific news you can find your entire ADC news and highlights featured in the valued bi-monthly publication and online news. Dairy News Australia, arguably Australia’s most popular dairy publication, is a chatty and informative read delivering expertise, advice and industry news to dairy farmers across our nation. Featuring real life stories, Dairy News Australia brings farmers and key industry stakeholders together the Australian way, by being fair dinkum. Stay in the know via their monthly print publication, website and social media platforms. Establishing themselves as a major player on the Australian dairy processing scene, Saputo Dairy Australia has expanded its portfolio most recently to add Devondale Murray Goulburn to its stable of major dairy brands. As a Conference lunch sponsor we welcome Saputo Dairy Australia to the leading industry event. Established in 2006 (as Australian Farms Fund Management), agCap holds an Australian Financial Services Licence and provides financial services to professional and institutional investors, as well as managing farms and agribusinesses on their behalf. agCap has specialised expertise in asset management, and diversified expertise in managing cropping, dairy and livestock operations and we welcome to the ADC sponsor team in 2019. As a leading supplier of animal nutrition and health Max Care has been a regular supporter of ADC on-farm tours providing opportunity for dairy farmers to extend their knowledge and industry best practice. The intimate tour environment offers opportunity for delegates to develop relationships with one of Australia’s leading dairy nutrition specialists. Daviesway offers an extensive range of specialist dairy systems and equipment ranging from building and upgrading quality dairies through to the best on farm dairy products. Daivesway and the ADC Conference tours are signature partners with organisation representatives imparting valued knowledge and expertise with delegates as they visit best practice operations. Synonymous with the dairy industry in Australia, Bega has been a long established company most renown for their brand of cheese. A flourishing product line continues to see Bega maintain its position as a household name. As a regular supporter of ADC, Bega is on board again to help with delegate sustenance sponsoring a morning tea break. With a rich history in Australia’s dairy industry spanning more than 80 years, Parmalat is a regular supporter of Australia’s premier dairy event supporting and investing in the local industry and our national dairy farmers. With a global reach and strong local base, Parmalat continues its association with ADC bringing nutrition to your morning tea session. With a strong focus and commitment on the circle of life via animal health and reproduction, Jefo prides itself on its scientific research and focus to make life easier. 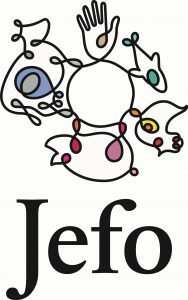 A global company with a strong national presence, Jefo Australia joins the ADC team as afternoon tea sponsor to connect and engage with dairy farmers at Australia’s premier dairy event. Created by a lack of available products in the market Freedom Foods has a mission to not only make delicious and healthy food, but to lead the ‘free from’ food movement in Australia. With a large range of cereals, bars, muesli’s and spreads the company has become a market leader. You won’t miss Freedom Foods at ADC 2019 Canberra as they will be front and centre on your Conference satchel. Zoetis discovers, develops, manufactures and commercializes a diverse portfolio of animal health medicines and vaccines designed to meet the real-world needs of veterinarians and the livestock farmers and companion animal owners they support. In 2019, Zoetis is assisting to bring Brad Nosbush from Minnesota USA to ADC to share his insights and learnings of making the most of genomics in a dairy business.